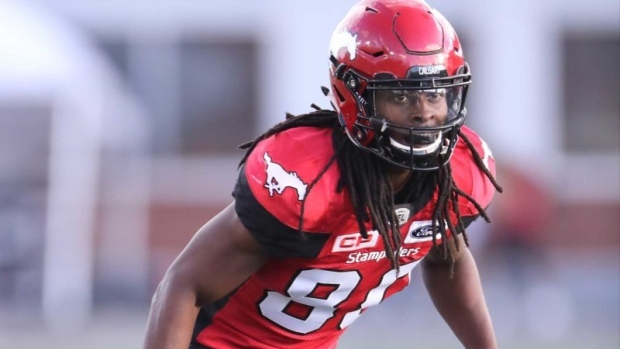 The Calgary Stampeders are already without wide receivers Kamar Jorden, DaVaris Daniels, and Reggie Begelton, and will be without Marken Michel moving forward as well. Michel will be placed on the six-game injured list with a broken scalpula, further depleting their receiving corps. The team could also be without Eric Rogers for their game against the BC Lions Saturday. Rogers is in California where he is expecting the birth of his child, and head coach Dave Dickenson said he is not sure if Rogers will return in time for the game. Rogers has 27 receptions for 367 yards and five touchdowns in six games. In other injury news, defensive backs Ciante Evans, Brandon Smith, Emmanuel Davis, and Troy Roberson are all dealing with injuries. Dickenson said he hopes all four can play on Saturday.